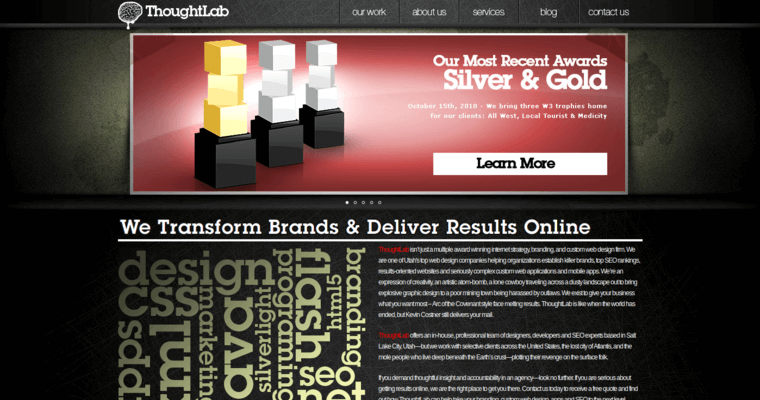 Thought Lab is a group of web designers who work with precision and patience to cultivate a solid, attention-catching eCommerce presence for the client. They make it happen by consistently creating compelling websites that will resonate with the business owner's target market. 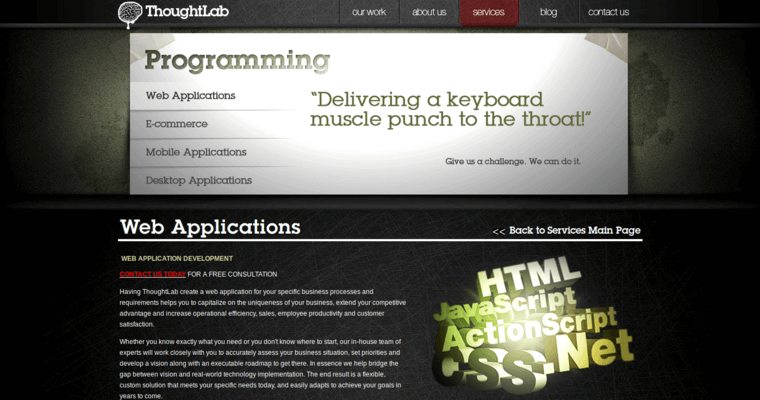 To ensure cross compatibility, the professionals of Thought Lab use top notch responsive web design techniques. They are also skilled in optimizing the sites they create for key components like engagement, aesthetic appeal, and functionality. Finally, the Thought Lab community empowers clients to build strong relationships with their target market to optimize and accelerate the conversion process. 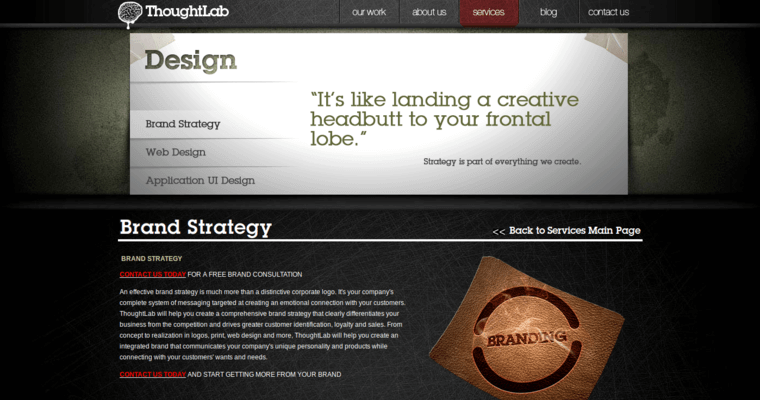 Choose Thought Lab for the win.